The team from The Bahamas will present early on the opening day as part of BFSB’s sponsorship of the event. Bahamas Financial Services Board chief executive officer Aliya Allen, Minister of Financial Services Ryan Pinder, and Michelle Neville-Clarke of Lennox Paton will provide an update on the wealth and asset management services and products in The Bahamas, including the new Investment Condominium launched in August. 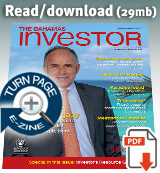 The Forum is a pan-regional wealth management, wealth planning and investment management international meeting for private banks, HNWIs, wealth managers, and family offices. It brings together 600+ industry leaders from Latin American and Caribbean Private Wealth Management field for a two day conference discussing strategies to protect, preserve and grow wealth. Organiser Latin Markets says industry practitioners attending the upcoming event will hear from more than 50 experts on wealth management, private clients, HNWI and UHNWIs, structuring, tax and investment management. Additionally, they will meet family offices, private banks, and wealth managers from Central America, South America and the Caribbean during 10+ hours of networking opportunities. Sessions and one-one-one meetings will ensure that participants fully understand where growth in the industry is taking place. 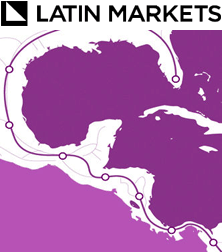 Latin Markets is one of the world’s leading provider of Latin America focused investment forums, regional summits, and streamlined market intelligence. It provides access to new investments, business opportunities and partnerships for the global investment community. The various events under the LM brand include a wide range of business development and educational vehicles enabling Latin America’s most active investors and fund managers to more adeptly navigate socio-economical, regulatory and financial considerations within the market.